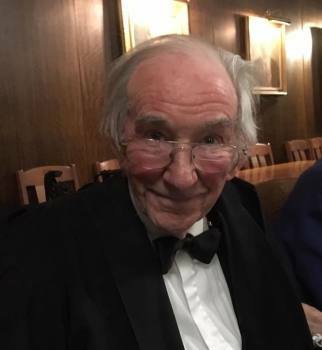 In memory of Dr Christopher M P Johnson, who died on 5th January 2019, aged 87. Fellow of Selwyn (physicist) for over 60 years. Former Bursar at Selwyn and St Johns. A ringer at this tower for many years. Last updated Sunday, 13 January 2019 at 14:03:44. First submitted Sunday, 13 January 2019 at 01:44:04 by Stephen D Pettman. Sent for publication in The Ringing World on Sunday, 13 January 2019 at 13:03:11, and printed in issue 5624, page 132. This performance has been viewed 1194 times.